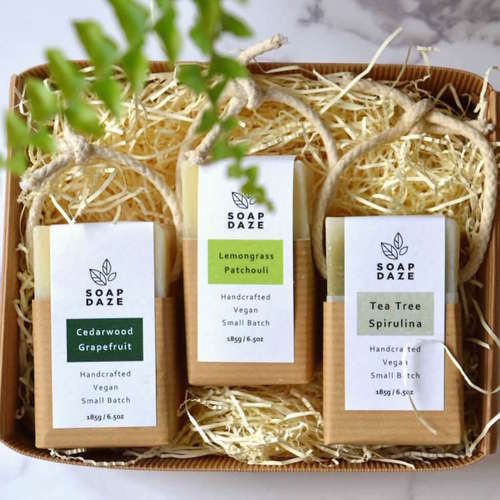 Handmade soap & candle gift set with choice of two scent crafted in small batches in Devon using high-quality natural ingredients. 1 large boxed soap (112g). 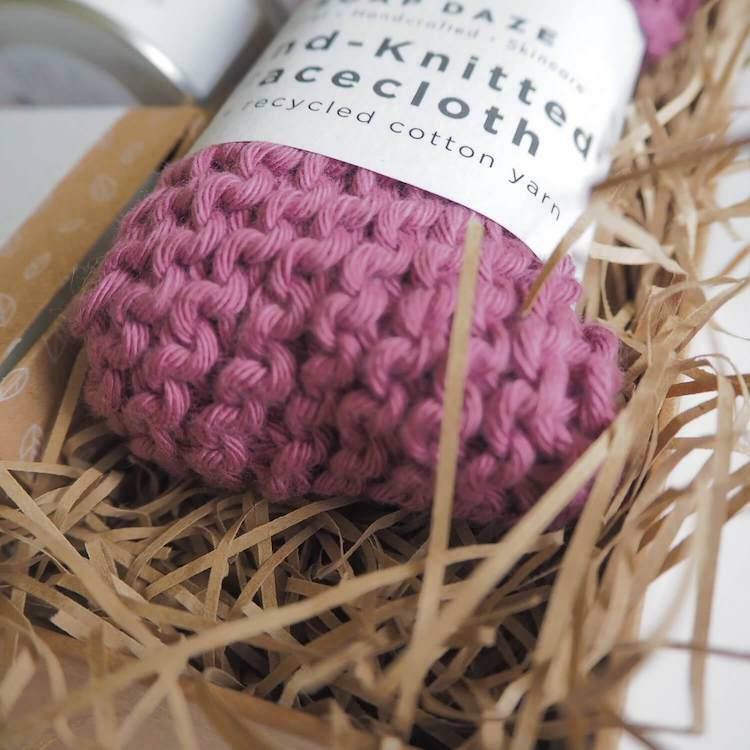 1 hand knitted facecloth made from recycled cotton yarn. 1 hand poured natural soy wax candle (15 hour burn time). 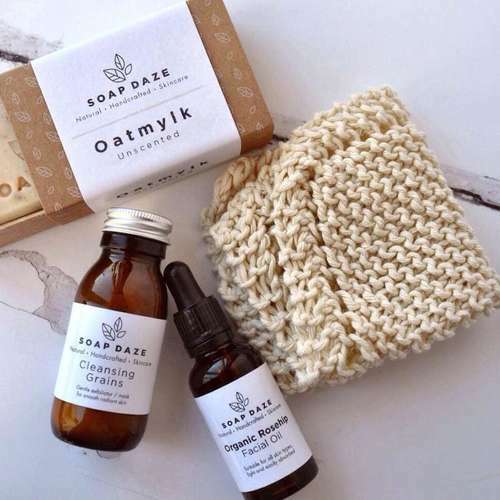 It comes packaged and delivered in a plastic-free gift box making this a lovely zero waste gift idea. Product Packaging - Packaged in a cardboard gift box with paper and paper shredding. Candle is stored in metal tin. limonene, geraniol, farnesol, citronellol, benzyl benzoate. Candle ingredients: soy wax, lemongrass and geranium essential oils. Candle ingredients: soy wax, lemongrass and grapefruit essential oils. 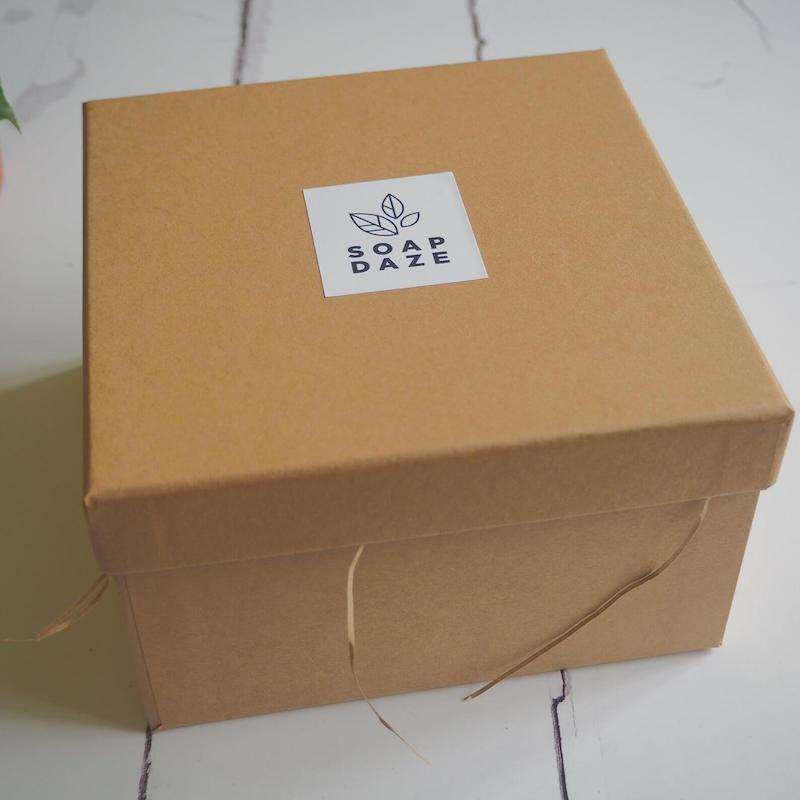 Delivery Packaging - Packed in a reused cardboard box, with paper filling.